Dahab is one of the most exciting places in the World. Located in the south of sinai at the red sea it offers perfect conditions for divers and windsurfers. 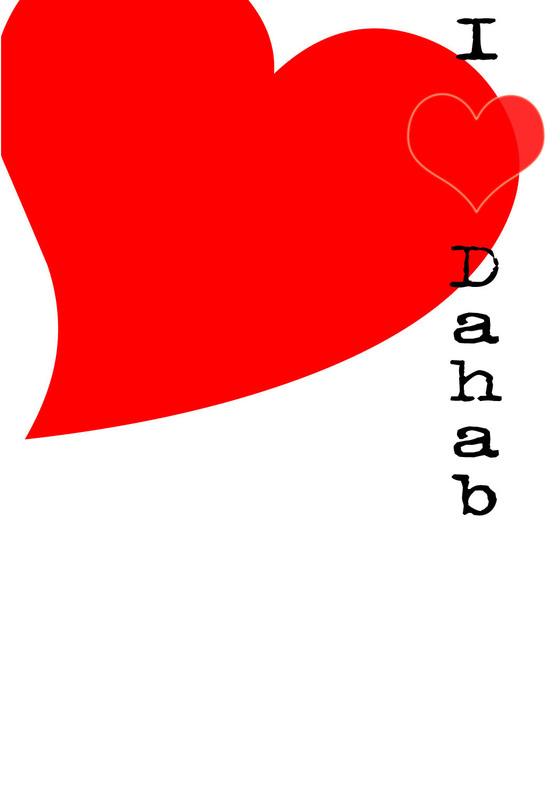 "Dahab" means "Gold" in Arabic, coming from the fine yellow sand you found on the beaches. The Bedouins are still living in this area for the most steady climate the whole year. Here in Dahab you will find accomodations for every pocket. From five star Hotels to cheap backpacker camps. You may stay only for relaxation or u like to come active with a tour to mountain moses, diving or snorkeling at the amazing coral reefs and windsurfing with a constant wind. The Oases give u the change to stay away from the hectic and to get a quiet impression of the desert and the easy live. Dahab is located around 90km in the north of sinai from sharm el sheikh. Or how en Thunder Bolt? form a lot of our daily Life. lucky Distance to the own hectic Mind. "Me and the rest of the World"